When sourcing and recruiting candidates for a specific role or position, as a recruiter, you should always set the expectations up front with your candidates from the beginning. With the unemployment rate being at its lowest in almost 50 years, with small fluctuations monthly, candidates believe they are in control of salary negotiations, not the client or company. 1. Company asset size varies, which has a significant impact on compensation. 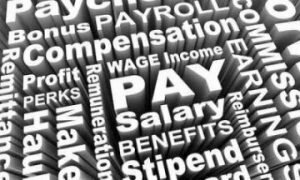 Larger corporations typically have different pay bands than smaller organizations. 2. Organizational charts can differ from company to company. A Senior Vice President at one company can be at the Vice President level of another. 3. Experience does not strictly apply to the number of years of experience. Experience pertains to the job scope and qualifications required of the position and whether or not the candidate meets some or all of the requirements, significantly impact the final offer. Of course, many other variables could influence the final offer – bonuses, PTO, benefits – the list could go on. Every position is different. It is essential to focus on finding the right opportunity and ensuring the qualifications and level of experience are presented to the hiring manager, as appropriate. More than ever, companies are focusing their attention on recruiting innovative leaders to forge an ever-evolving path for their organization. They want leaders to push the limit with questions, observations, networking, experimenting, and advanced thinking – never ceasing to discover the unimaginable. Being part of a team who works for an innovative leader, organizational growth can be exponential as they explore new concepts and break down barriers. These leaders have the innate ability to imagine the impossible and communicate their vision to others who will add to the bigger picture. With a charismatic character, innovative leaders foster an environment of futuristic change and are ambitious in obtaining an optimal result. 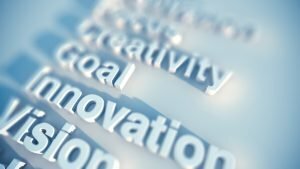 As new ideas are established and set in motion, enhancements to the company can be used to help drive it to even greater success. Introducing and exploring technological advancements and digital improvements are necessary for growth. Centering on a digital footprint provides companies with an infinite, information-based foundation, leveraging information that may otherwise be unknown or out of reach. With the right digital extensions, the corporate business initiatives will thrive and create opportunities beyond today! 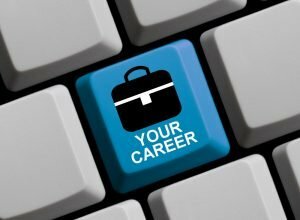 The creation of an Executive Resume or LinkedIn Profile succinctly may not have been needed in the past, however, when opportunity knocks, it is best to be prepared and relevant. The process to obtain a C-Suite position requires specific innovative and strategic thinking by integrating technology and emphasizing on a strong personal brand. While an Executive Resume may have been sufficient to land a new position a few years ago, in today’s modern age, it takes more effort than just quantitatively updating career accomplishments and community contributions. 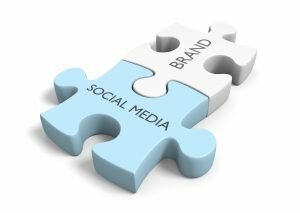 In most recruiting cases, there is significant weight placed on social branding. Executives with an online social networking presence tend to be noticed more over than the traditional job search. Your profile should include strategic accomplishments, leadership qualities, and a proven track record of success in managing complex business initiatives. Establishing the proper brand is most important to ensure a clear message across all professional and social channels. By identifying an appropriate and desirable value proposition that supports the business initiatives, this will allow your social profile to capture the desired audience. In many instances, this identification and establishment of developing a professional online profile can often be established through experienced professionals. Once your online brand has been established, it is time to portray who you are and consistently focus on your futuristic career goals and what you set to accomplish as an executive leader. When trying to attract top talent, the vacant position must stand out amongst the clutter of other eligible opportunities. 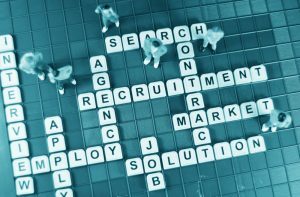 Establishing a talent recruitment campaign allows both employers and employees to actively align goals and interests in a cultivating way. Setting clear and measurable goals can be a great start when creating any recruitment campaign. Asking questions like “How many people do we want this to reach?” or “By what margin do we want to increase our overall audience?” allows for quantifiable marks to be set and evaluated throughout the process. When objectives and the end goal is understood, it determines the success built before and achieved after recruitment. Determining the audience should be the second part of the campaign. It is important to develop a unique communicative platform through company culture videos, social media promotions, evaluating and reviewing glass door reviews and provide community-related blog posts. This will allow prospective candidates to evaluate the value proposition of the company and be the center of any talent recruitment practice. While those platforms should exhibit the culture, they should also integrate a call to action. A call to action clearly separates the recruiting pool from those that are curious and those that are serious. It should be visible on all facets of communication with potential employees and should be direct and explanatory – providing further insight or action to those that interact. Talent campaigns are meant to be unique to the position or organization. While every business may be using the same platform to get their message across, influencing those platforms to align with the goals that were initially established will provide recruits with an understanding of what the company has to offer and how they will be part of the success, and significant contributions to the future of the organization. When trying to recruit a new candidate, it is essential to have a plan set in place to effectively and efficiently fill the position. To begin, define the position. While this sounds like a simple task, it is the most important as it identifies the needed skills and interests of the candidate pool. A needs assessment should be completed to understand the extent of what this position will be intended for. While some believe this is only done for a new position, existing roles should be assessed in the same manner to avoid complacency and focus on the betterment and continual growth of the organization. The next step should be to write and post the job opening. While writing the job description, include the skills and expectations for the role that was discovered when defining what the position was. This description should go deeper than just recruitment. It should be an evaluative measure of potential candidates, a tool for managers to set expectations and a continuous performance review standard. When posting the job description, ensure the platform used correctly markets the type of company that is asking for hirees. This leads to the development of the recruitment plan and how recruitment of a potential hire pool should be handled. First, informing internal members of the team should occur. This allows for interested candidates who are already privy to the company and possibly the open position to apply if interested. Current employees are also a great source for referrals either internally or externally. Next, the position should be distributed within your network. The message can be spread to individuals who are interested in making a transition, may know someone interested or can help disseminate the opening to their network as well. Finally, the job opening should be shared externally. It is most affordable and effective to post online but don’t be afraid to reach out to colleagues who have had similar openings to see how they found success. 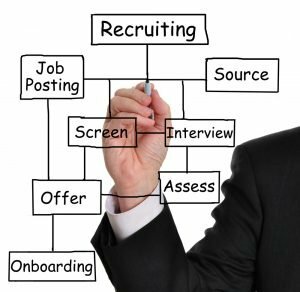 The final step to recruiting candidates is the screening process. This process is a way to assess each candidate using a set group of criteria identified when defining the position. Resume screening is a great way to see if a candidate has what the job needs on paper. To follow-up with the resume, interviews can either be conducted in person or through the phone or video chat. When using these methods, plan questions in advance that allow for candidates to identify the competencies that are needed for the job. Once the position is filled or a candidate has been identified for hire, it is important to follow-up with those that were interviewed either through a letter, email, or a phone call. Remember, not all recruitment processes are ‘one size fits all,’ do what works best for your organization and the position you are trying to fill. Negotiating pay is a difficult situation when offered the job of your dreams. While the job description may check all of the boxes, compensation is also a major determinant in whether you should accept the position or not. There is a certain threshold that employers will withstand when in the counteroffer stage of hiring. By doing your research and recognizing the market compensation wage bands, you will set yourself up for far better success than by countering the future of your career blindly. Trust the process as you think about negotiating an offer once it has been presented. Seek counsel from a professional to guide and lead you through each phase of the negotiation. When countering the offer, focus on why you want to join the organization and what is important to you at this stage of your career. There are other benefits can be included as part of the compensation package which can include, commute time, work-hour flexibility, job responsibilities, family support, and ability to contribute in the strategic success of the company. Focus on how your dream job can transform more than just your bank account. Countering what you feel is deserved can be effective when done properly. If conducted correctly, counteroffers can provide better benefits, incentives, job security, and ultimately pay for a job that was already a dream to begin with. The heart of any company begins with its mission statement. The mission statement is the very definition of what the company stands for and the potential future outlook of the business. 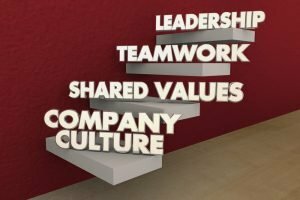 Much like a company’s value, it shapes the organizational culture where employees learn and grow. If one member of the team doesn’t believe in the same vision the entire team can begin to crumble. Executives should be the ultimate advocates of driving the mission statement home. They need to constantly focus on how to better the organization and what steps to take to get closer to the ultimate goal. If they do not believe in the vision of the company, this can create a major disturbance in pushing the entire company forward. Is it worth the time and energy to dedicate time and resources in coaching the executive to invest themselves more? Or should you turn your attention to someone that can prove to be a driving force towards the future? Many times, the executive cannot offer 100% buy-in to the company’s mission. While the executive may offer great departmental support to the overall vision, if they are not focused on the same goal this can be a deterrent to the desired success in the long run. Focusing attention on someone who wants to see organizational growth fall within the mission of the company is important. The executives and employees that support the direction a company is headed are more willing to dedicate the time needed to see the goals come to fruition. Try not spin your wheels on a stalled executive, and instead, cruise into the future with a group of supporters backing you. 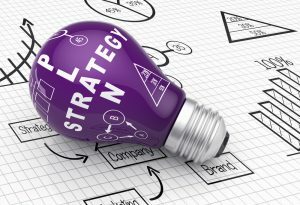 Strategic planning identifies the abilities of a company and focuses on its strengths. It is used to set priorities, concentrate resources and energy, utilize operations and establish a clear end-goal. To begin the process, an organizational team should be assembled, which embodies an appropriate representation of the culture and identity of the company. This team should be made of key implementers, outside facilitators, internal representatives and top-level executives. The basic system of strategic planning begins with goal-setting through identifying the accomplishments that hoped to be accomplished in a set amount of time. Goal-setting is followed by an assessment of the organization. The question “Where is the company currently?” must be asked and answered. This may be the hardest and most crucial step as there is a distinct differential between where the company currently is and where people want the company to be. The assessment should include internal and external “temperature” audits. Strategy formulation or defining the future steps for the organization that focuses on the vision and mission is often the next course of action. Formulation is followed by implementation. Taking the steps that were selected in the third stage of the planning process and putting them to work can be the most time-consuming phase. Evaluation is the final stage of the planning process. Recalling the goals that were set out in stage one and determining if the goal was reached successfully through the steps that were taken is important to ensuring continued progress. Progress can be tracked and monitored through the use of the Balanced Scorecard, which targets the growth and improvement from the financial, customer/stakeholder, internal process and organizational capacity viewpoints. These Key Performance Indicators (KPIs) measure the extent of effectiveness and operational efficiency that is demonstrated during the implementation stage. While evaluation is the final step, strategic planning should be cyclical. Whether it be refining the steps to achieve the initial goal or establishing a new goal, the strategic planning process should be a day-to-day focus for overall organizational achievement. What constitutes a transformational leader? There is an overwhelming sense of responsibility taken on by any leader. Strong leadership evokes a belief in the shared vision and the charisma to guide others has the ability to propel the strengths of the team. The way employees define their manager’s leadership style, has a large impact on the continuation of a successful leadership cycle. 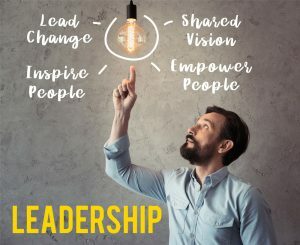 There are nine identified frameworks of leadership styles – transformational, transactional, laissez-faire, servant, autocratic, democratic, bureaucratic, charismatic and situational. With these nine styles, also comes nine different ways a team can define their leader’s approach. Believing in a one-size-fits-all methodology may cause more adversity than prosperity. Leaders must have the ability to adapt their leadership strategy to fit the situation and their employees. The responsibility taken on by any leader is more than just a guide towards the right direction. A leader must be willing to make the hard decisions, earn the trust and respect of his/her employees, believe and articulate a shared goal, and inspire people to do their best. Having the foresight to know what may lie ahead and recognize that a shared vision will distinguish a transformational leader from the rest. 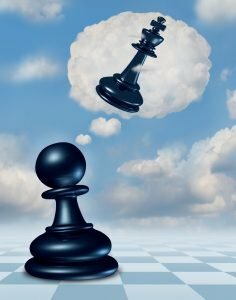 Should Succession Planning be on your Company Agenda? As the structure of an organization matures and employees begin to mature and transition from their initial roles, succession planning becomes a key piece in ensuring the organization will continue to run smoothly. Be proactive in outlining a succession plan that works best for the culture of the company. Set aside adequate time to identify the key traits needed for another leader to fill the soon-to-be vacant position. Even if a transition is not expected immediately, proper timing and planning make a difference in the midst of any occupational shift. In the spirit of timing, this offers an excellent opportunity to provide training to other employees that may be interested in leadership roles down the road or perform trail runs for potential candidates whom may be closer to the level of accepting more responsibility. Opening up the chance for employees to actively seek leadership roles and identifying top performers, organizations pave a greater road towards smoother transitions. Through training and vetting, it is important to relay the shared vision of the organization. Engaging in transparent strategic conversations will not only help develop a greater vision for future success inter-departmentally but it will also magnify the strengths of top-performers. Once an internal succession structure is identified, the process should be mirrored and appropriately transitioned to fit the hiring strategy, establishing the traits valued in top-leadership parallels that of new additions.